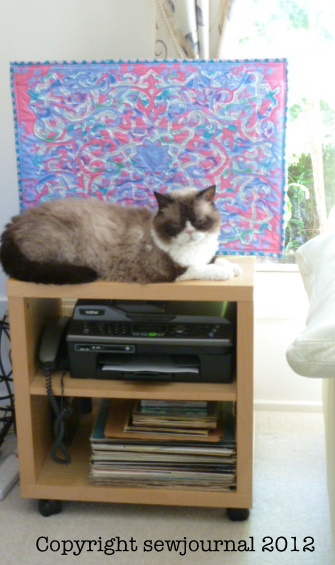 However, I have incontrovertible proof that it’s not just because they are horizontal and soft to lie on. 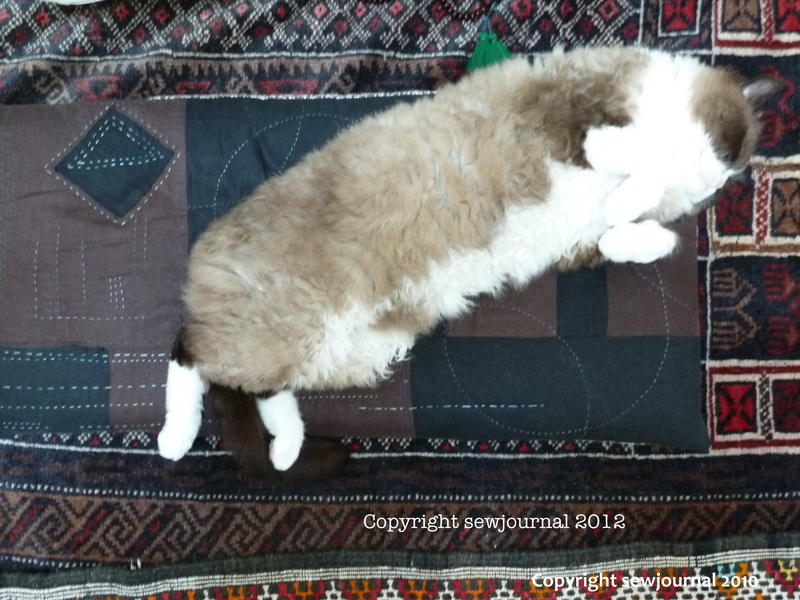 Here is a photo of Mr Tiggy unable to resist the pull of a vertical quilt. 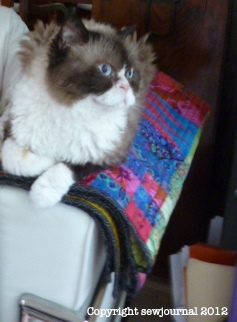 Proof positive – if, indeed, proof were needed – that quilts are cat magnets! Oh, that is adorable. I think my favorite is the contented look on his face as he snuggles up to the television. Give him a scratch for me. Mr. Tiggy has the most beautiful face and I love the white paws. Mr. Tiggy knows what background works well for him and shows him off! I think Nan said it right!